A few moments later, Letterman took the bottle away from Murray, and after the interview, the comedian ran out of the studio covered in cake in an attempt to get others to help him convince the host not to leave. The party did not stop there for the Caddyshack actor. After his Letterman spot, Murray appeared on MSNBC’s The Last Word, but it became obvious he might have celebrated a little too hard with Dave. 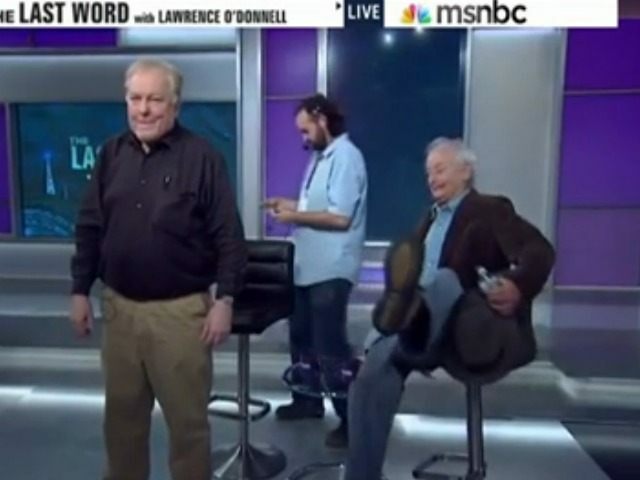 As host Lawrence O’Donnell teased an upcoming segment with Murray and former Late Show head writer Jim Downey, the actor stumbled over to a chair, sat down, and then fell backwards onto the floor as the broadcast cut to a commercial.